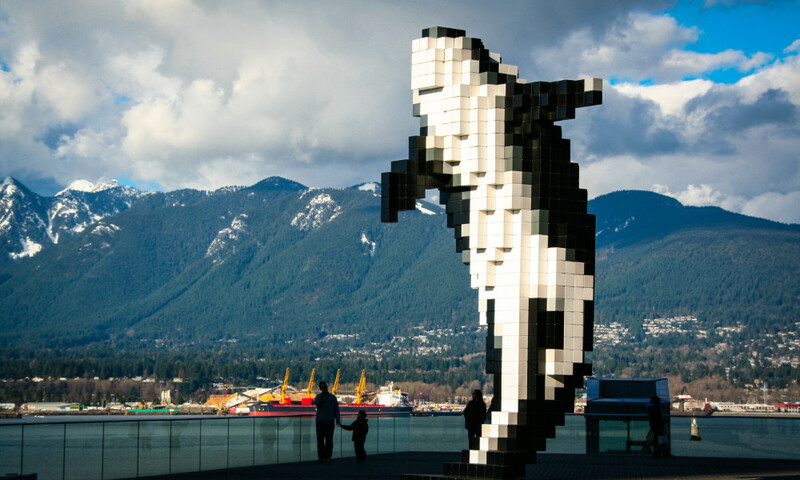 Known to small folk as the lego whale, Digital Orca is a massive pixelated whale sculpture by groundbreaking Vancouver author and artist Douglas Coupland. 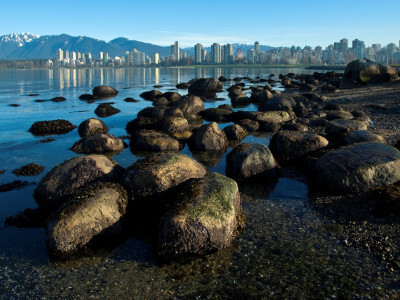 The monochrome beast is jumping skyward against a stunning North Shore Mountain backdrop on the waterfront at Jack Poole Plaza. 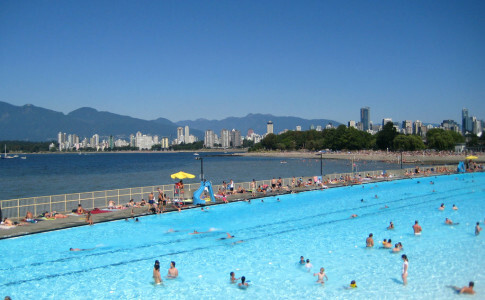 Next to it you’ll find the Vancouver Olympic Cauldron, lit by Wayne Gretzky during the 2012 Winter Olympics opening ceremonies.